There are disputes over territory in almost every region of the world, sometimes leading to escalations and violence between States and threatening international peace and security. International law requires States to refrain from the threat or use of force and to attempt to settle their disputes by peaceful means in such a manner that international peace, security and justice are not endangered. In June 2018 the British Institute of International and Comparative Law (BIICL) has completed a project on the legal significance of certain acts involving the use of force in relation to territorial disputes, especially when altering the status quo in disputed territories, continental or island. 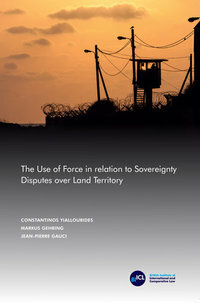 The project report provides a comprehensive analysis of the rules regulating the threat or use of force between States in international law and examines how these rules operate specifically in the context of territorial disputes. The report analyses a wide range of territorial disputes to clarify the legal obligations binding upon States involved in such disputes and the consequences flowing from a breach of these obligations.